Just in time for Mother’s Day, we are excited to show you all our new products for the month of MAY!!! All of April we have been working hard to bring you new products for May and for Mother’s Day! We are hoping that being inspired by the colorful flowers, tulips, daffodils and hyacinth, these colorful items will be the perfect gift for a loved one or for yourself. All our designs are made by upcycling fabric or products already in existence. We pride ourselves on being eco-friendly as well as innovative, trying to come up with new, fresh, inspired ideas everyday! I hope you like our new products for this month. We also have a piece or two on sale for you, so don’t miss out!! 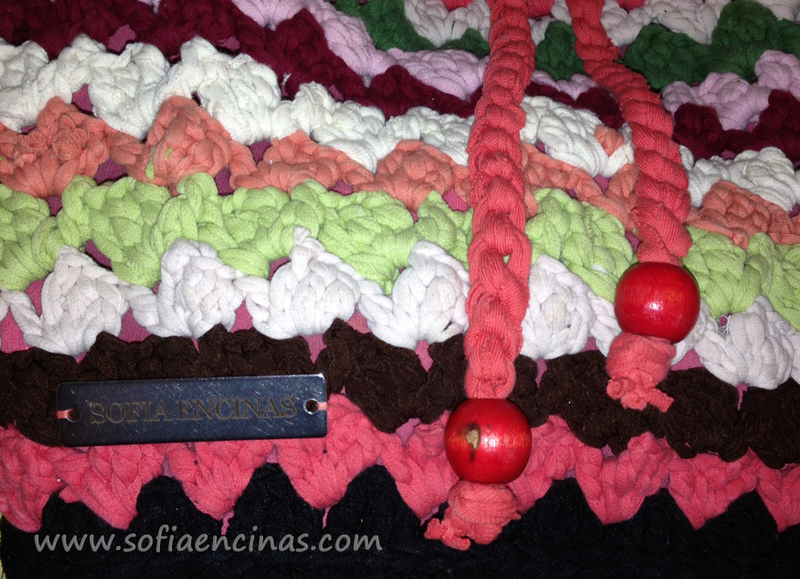 This first piece is a Colorful Coral Purse Crocheted with Upcycled T-shirts. 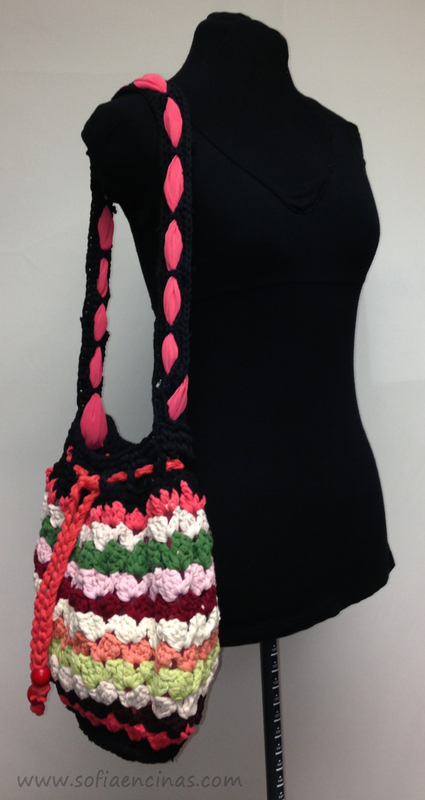 Bright, colorful purse made out of upcycled t-shirts is perfect for any occasion. 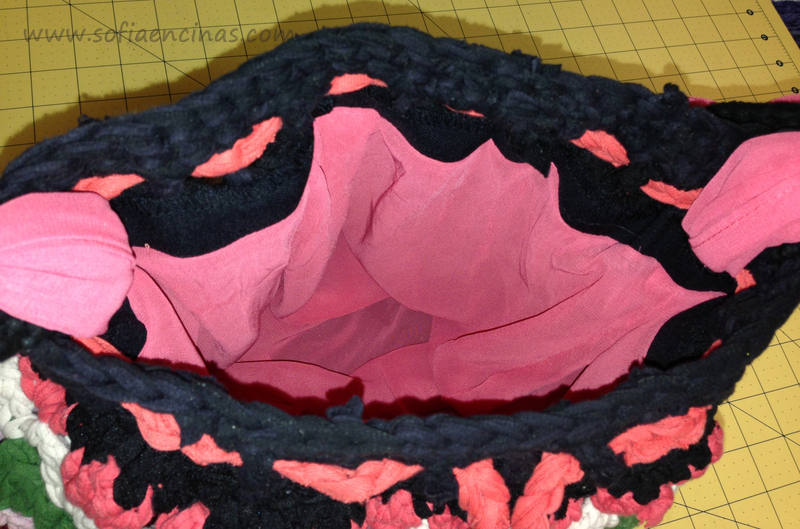 The lining is upcycled from a polyester pink/coral colored scarf. 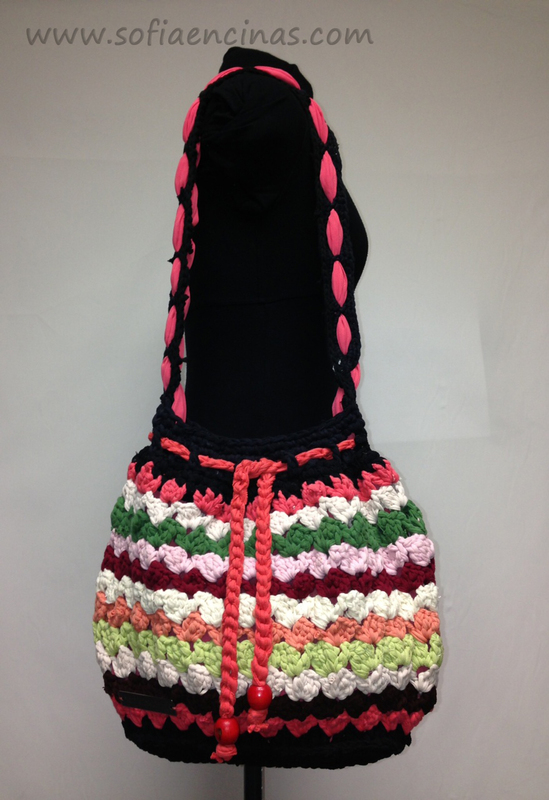 The purse includes colors such as light green, pink, coral, red, white and black around the base drawstring, and strap. It has a drawstring close at the top, with the string made out of the same t-shirt material. The purse is crocheted out of upcycled t-shirts (for more information on how this technique is done please our post How to Make Your Own Thread out of T-Shirts). 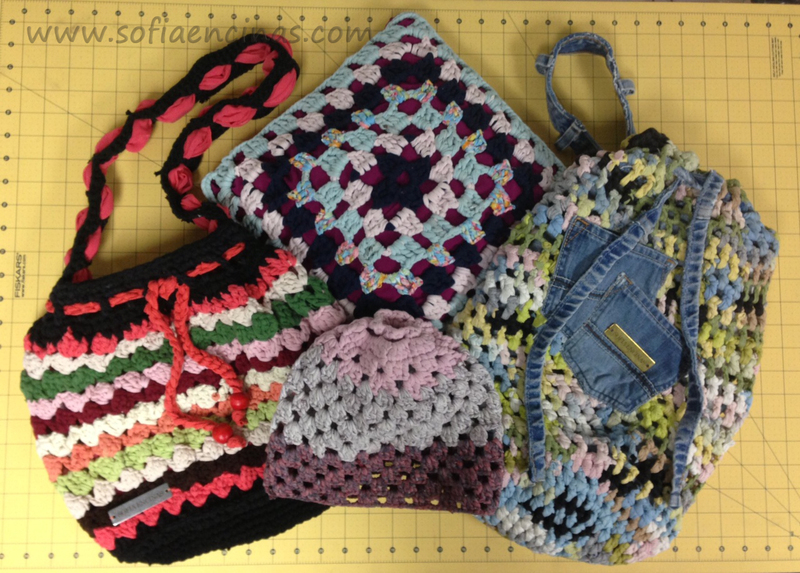 You can use this bag at the park on warm days, walking around town, running errands, or buy it for a friend as a gift. Click Here to buy! 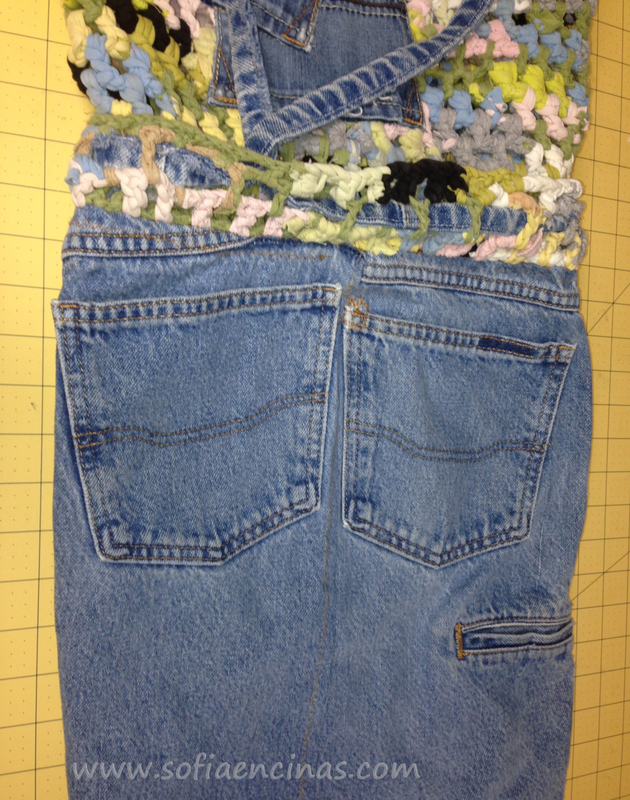 The next piece is a Blue Jean and Crocheted Backpack. A beautiful accessory for both mother or student. 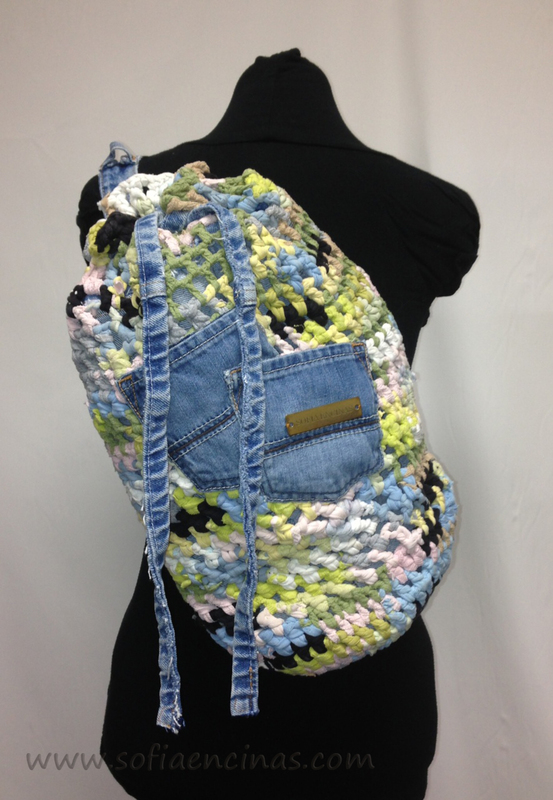 This backpack is made out of upcycled t-shirts and blue jeans. 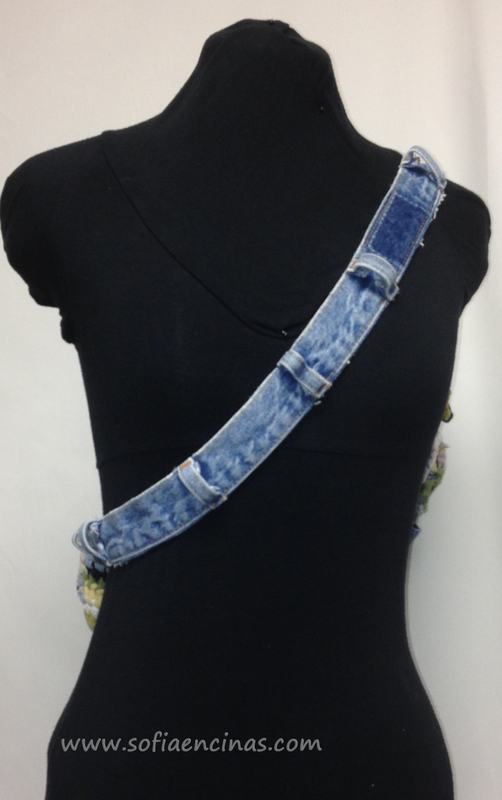 I sewed the back two pockets onto the front of the backpack to give it more style and fun design, and I also used the jean waistband to make the strap that goes around the front. 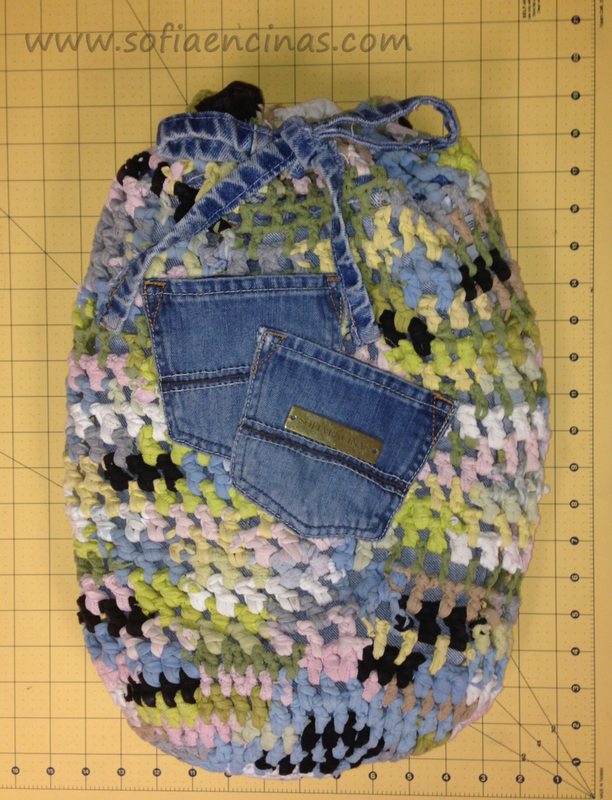 The inside of the backpack is lined with jean material as you can see in the last two photos. The colors of the t-shirts have a more pastel tone, with subtle details of black and darker colors. Bring this knapsack with you to the park for a picnic or use it year round to carry your books or bring supplies back and forth to work. Click Here to buy! 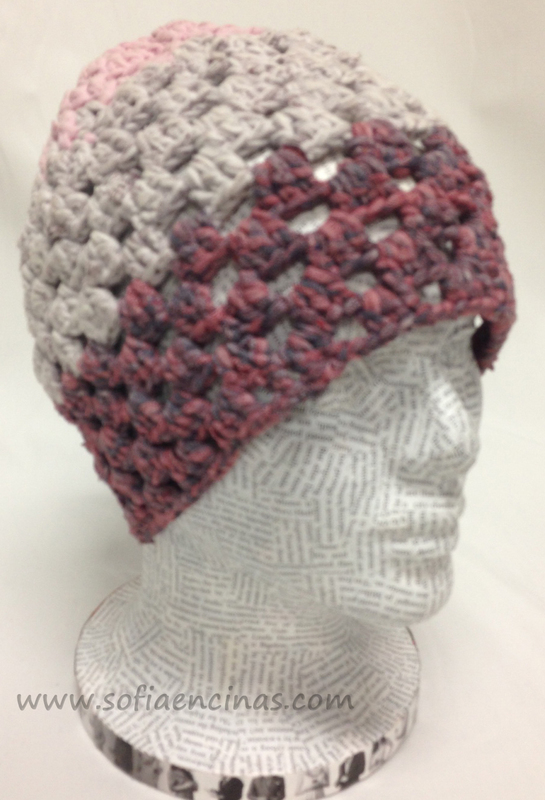 The next piece is a Eco-Friendly Upcycled Tri-Colored Cap with Flower Top. A cap that keeps your head cool and lets a breeze blow through, but still keeps you warm when the chill bites a little bit too much. The flower on the top of the cap closure is a cute decorative way to show your support for mother nature. The 3 colors, pink, brown and purple combine to make a fashionable statement for the spring. Great for both kids and adults alike you can use this cap anytime of day. Click Here to buy! MAY MOTHER’S DAY SALE ITEM!!!! 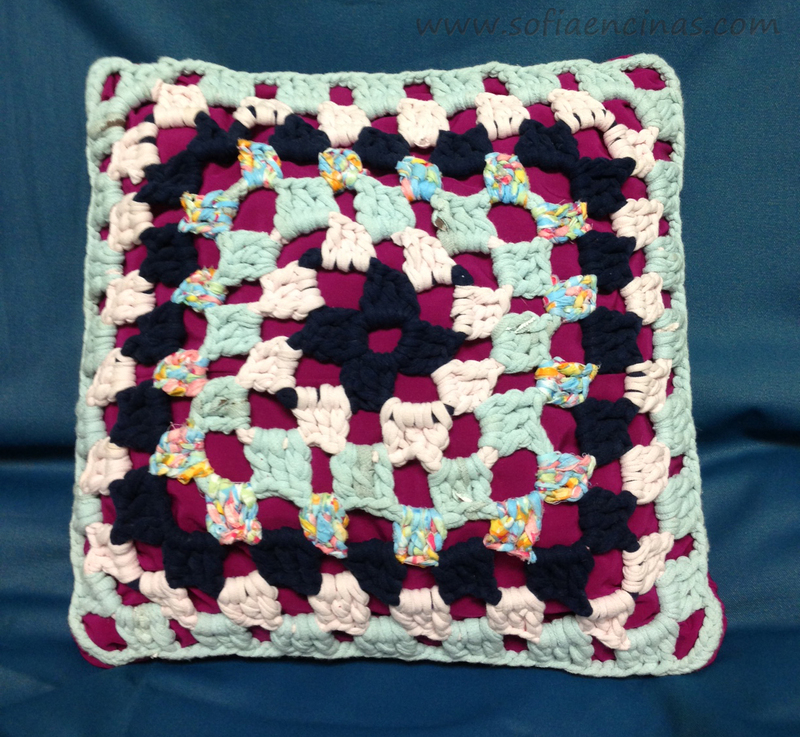 A Colorful Square Granny Crochet Pillow made from Upcycled Crocheted T-Shirts! 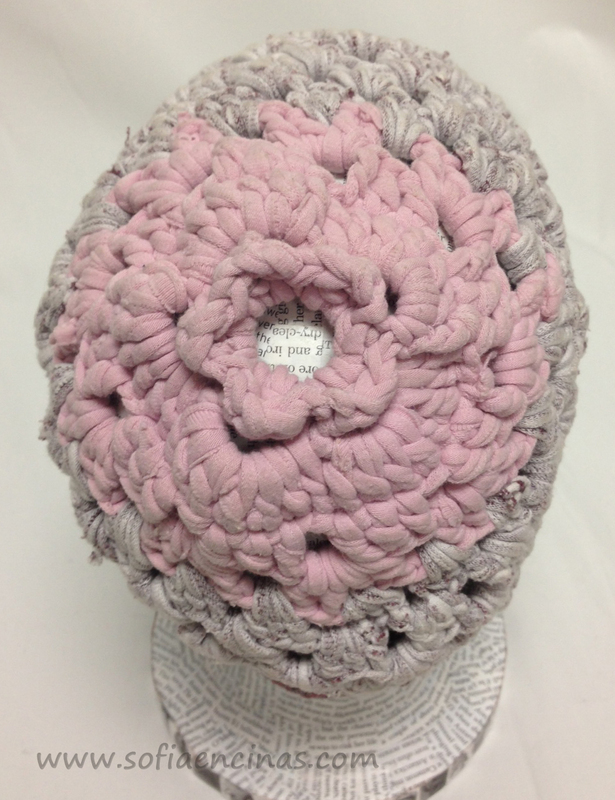 This Eco-friendly pillow is made out of crocheted t-shirts on top of a base made out of a magenta dress and filled with scraps from t-shirts and other fabric filling. The pillow consists of the colors light blue and light pink, dark blue, white and one round of mixed colors. The measurements are 13.5in X 13.5in, and it is about 3 inches wide. Originally $36.00 this fun pillow is now on sale for only $30.00 in our Etsy Store NOW! Click Here to Buy! !